While constructivism enjoys considerable popularity in higher education, both in Australia and internationally, it nonetheless takes a variety of forms. These different interpretations make it difficult to draw strong conclusions about constructivism as a whole. In this essay, we therefore take a psycho-philosophical approach: reviewing and assessing three major versions of constructivism (radical, psychological and social), from both pedagogic and epistemic standpoints. We find no damaging psychological evidence against moderate pedagogic interpretations of constructivism that encourage a focus on how students learn, noting only that these must still be grounded empirically. We find several convincing philosophical arguments against particular epistemic interpretations, however, and against strong pedagogical interpretations that eschew all teacher direction. We conclude by encouraging Australian higher educators to discard the problematic epistemic and psychological versions of constructivism. To expose students to genuine disciplinary inquiry within the academy, we must retain only those versions of constructivism that are philosophically and pedagogically defensible. Both in Australia and internationally, constructivism is strongly and actively supported in the higher education literature. Outside higher education, however, specific forms of constructivism have been subject to criticism and controversy for at least two decades (see Boghossian 2006; Matthews 2000; Nola 1997; Young 2008). The reasons for the continued commitment to constructivism in the face of potentially serious critique are undoubtedly complex and multifaceted. But one significant reason is the complex and multifaceted nature of constructivism itself. Constructivism is a broad church. Matthews (2000) identifies eighteen forms of constructivism, for example, while Steffe and Gale (1995) outline six core constructivist paradigms and Nola (1997, p. 57) asks four questions that can be used to tease apart a host of different constructivism positions (“Who does the constructing? What is constructed? What is the relation of constructing? How does one construct?”). The plethora of positions that can be legitimately characterised as constructivist makes targeting constructivism extremely difficult (Richardson 2003). Despite sharing a common name and some common features, not all forms of constructivism are subject to the same critiques. The result is that genuinely unproblematic forms may sit alongside more troublesome forms that are supported by neither reason nor evidence. Our original contribution in this essay is to review, evaluate and extend epistemic and pedagogic arguments for constructivism in higher education using a psycho-philosophical approach. We position ourselves as educators at the crux of psychology and philosophy. [Blinded] is a cognitive developmental psychologist situated within a new Department of Education at a large, research-intensive metropolitan Australian university, while [blinded] is a philosopher of education and Associate Dean of Learning and Teaching in the same university. We present our argument as an empirically informed philosophical essay that draws upon evidence about the nature of learning from the psychological sciences. Our goal is to provide an account of constructivism for Australian higher education that is philosophically precise and psychologically accurate. We recognise that some of our arguments are contestable, drawn from our own ‘home’ disciplines, and not all tertiary educators will share our conclusions. We nevertheless hope to spark debate within Australian tertiary institutions that will allow for sharper definitions of the kind of constructivism at play. Our overarching argument is twofold. In the first part of our essay, we demonstrate that much of the epistemic foundation of constructivism in education—including higher education—is philosophically flawed (Young 2008). This removes some forms of constructivism from consideration entirely. In the second part of our essay, we discuss three broad varieties of constructivism in higher education—radical, psychological and social—from the perspectives of both philosophy and psychology. We organise all other forms of constructivism, including the eighteen noted by Matthews (2000), into these three broad varieties. This organisation enables us to then assess all forms of the same variety—radical, psychological, or social—using the same broad arguments. Using this approach we are able to demonstrate that some moderate forms of psychological constructivism, interpreted pedagogically, remain positive. A broad interpretation of social constructivism, interpreted epistemically, also retains benefit. The implication for educators in Australian higher education settings is that defensible forms must be distanced from those that are indefensible, such that subtle shifts from one to the other are not possible. Our essay has four sections. First, to better understand the presence of constructivism within the Australian higher education community, we present a brief history of constructivism. We show how constructivism emerged in the early twentieth century as a philosophical paradigm, underpinned by epistemic beliefs about the nature of knowledge and pedagogical beliefs about how learning occurs. Second, we defend our claim that constructivism remains actively supported in higher education today. We present a targeted review of references to constructivism in higher education in four representative case-journals, including this journal, to demonstrate broad support in four distinct domains: Australian education, higher education studies, tertiary teacher training and tertiary science education. The version of constructivism in question is rarely discussed, however, despite the excellent commentaries and critiques that have come before (e.g. Boghossian 2006; Matthews 2000; Nola 1997; Young 2008); thus, the problem of constructivism is a live one. Third, we offer a nuanced characterisation of constructivism in higher education. We discuss radical, psychological and social constructivism, each driven by an epistemic or a pedagogic framework. Fourth, we examine potential problems and benefits of specific forms of constructivism in higher education at two levels of analysis: epistemic and pedagogical. We show that the philosophical arguments against constructivism, which refer predominantly to epistemic forms, are difficult to overcome. On such terms, only a broad treatment of social constructivism survives. In contrast, when considered pedagogically, moderate forms of psychological constructivism also survive. We conclude with an appeal for educators to be clear and precise about what they mean when advocating for or against different constructivist approaches. If constructivism in Australian higher education is interpreted epistemically as a broad from of social constructivism, or pedagogically as a moderate form of psychological constructivism, it is possible to accept the progressive insights of constructivism without falling to either relativism or positivism. As has been shown across several decades, however, the devil is in the detail. All forms of constructivism are founded on a common underlying principle: that knowledge is constructed. This principle can be interpreted as either an epistemic claim (that knowledge is not discoverable in the world but created by the knowing subject), or a pedagogic claim (that knowledge is not transmittable by the teacher but individually constructed by the student). Interpreted as a radical pedagogy, constructivism entails that students must each extract meaning from their learning experiences to actively construct their own knowledge; that the learning environment is one in which “each learner’s subjective experiences now have a special and unique meaning” (Boghossian 2006, p. 715). This makes radical constructivism a form of epistemic relativism. Contemporary versions of epistemic relativism emerged in response to the failures of objectivism in western epistemology: especially logical positivism. Logical positivism was a broad epistemic movement commonly associated with the Vienna Circle and deeply influenced by the work of the early Wittgenstein. In the Tractatus, Wittgenstein sets out to establish the limits of thought: “The limit can … only be drawn in language and what lies on the other side of the limit will be simply nonsense” (1922, Preface). Logical positivists interpreted this programme as a search for an empirical verificationist account of meaning. In the English-speaking world, the most influential expression of the verificationist principle is found in Ayer’s Language, Truth and Logic (1936), according to which a non-tautology is meaningful if and only if it is empirically verifiable: roughly, if some observation could show the claim to be true. Similarly, Carnap (1928) provided a foundationalist version of empiricism according to which all scientific terms were ultimately grounded in observable terms. Jointly, foundationalism and the verification principle that provided the empirical foundation are the core epistemic commitments of logical positivism. Both commitments, and the movement more generally, were subject to damaging critique from the 1930s through to the 1970s (see Kuhn 1970; Quine 1969; Popper 1934; Sellars 1956; Wittgenstein 1953). Due to these critiques, positivism had been abandoned as a live epistemic position for decades. By the mid-1960s, Passmore had declared it “as dead as a philosophical movement ever becomes” (1967, p. 56). The reasons were twofold. First, as emphasised by Popper (1934), the verificationist principle is self-refuting: it is neither tautological nor empirically verifiable and, thereby, counts as meaningless nonsense according to its own criteria. Second, most epistemologists now view ‘observable facts’ suspiciously. The general consensus is that all observation is theory laden (e.g. Quine 1969; Kuhn 1970). Hence, positivism lacks its indubitable foundation (Wittgenstein 1953; Sellars 1956). Following the collapse of logical positivism, and of foundationalism more generally (Sellars 1956), epistemology took a subjective turn. The emerging growth of constructivism is just one part of this general turn. As a meta-epistemic position, however, subjectivism faces serious philosophical challenges of its own. These challenges are inherited by epistemic versions of constructivism. Two challenges are particularly striking: (a) an overly individualistic account of knowledge; and (b) a radically relativistic account of truth. In this essay, we articulate both these meta-epistemic problems. Our aim is to present a version of constructivism that escapes these general problems. The version we ultimately endorse combines a broad social constructivism with a moderate psychological perspective. Before moving to describe the various versions of constructivism, however, we first briefly review support for constructivism within contemporary higher education. To demonstrate the extent of support for constructivism within contemporary higher education, we conducted a targeted review of literature in four domains: Australian education (all sectors), higher education studies, teacher education and tertiary science education. While all four include a higher education focus, the underlying disciplines differ in structure and interdisciplinarity and may therefore attract educators with different philosophical approaches. Tertiary science education was of particular interest: although tertiary science educators do not typically have formal educational training (unlike those in Australian education, higher educational studies and teacher education), science is frequently cited as a site for constructivist classroom pedagogies to be used (e.g. Marbach-Ad et al. 2001; Strait and Wilke 2007). Given the permeability of domain boundaries, we do not intend our review to be exhaustive. Rather, we gauge support in a single representative case-journal in each domain. Within each journal, we searched the database ERIC (ProQuest) for articles published between January 2000 and December 2016 with the words “constructivism”, “constructivist”, or “constructiv*” in the title, abstract, or keywords. If fewer than five hits resulted, we also searched within the bodies of text. Two independent raters then read each article and coded whether the focus on constructivism was positive, negative, or neutral, with 100% agreement. 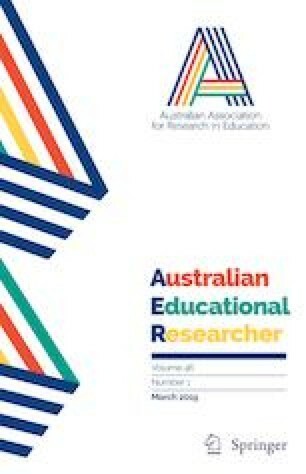 In Australian education, we reviewed support for constructivism within the current journal: The Australian Educational Researcher. This journal is the flagship journal of the Australian Association for Research in Education and the leading journal for Australian education across sectors (early childhood, primary, secondary, tertiary and vocational). It has an increasing quartile score, currently Q2, and an h-index of 22. Using our search strategy outlined above, in which we focused on articles published between January 2000 and December 2016, we found 12 articles referencing constructivism. We coded nine articles (75.0%) as positive towards constructivism. For example, Newhouse (2014, p. 473) argued that “social and neuroscience research is supporting theories labelled with constructivism”, while Agbenyega (2006, p. 118) drew on “constructivist’s philosophy of learning and teaching”. We coded the final three articles as neutral (n = 2, 16.7%) or negative (n = 1, 8.3%): Green (2010, p. 47) argues for the need to “redress what some now see as a widespread and even systematic undervaluing of knowledge per se in an excess of constructivism”, for example, while Kalzantis (2006) argues that constructivism does not adequately account for individual differences between learners. Taken together, our findings suggest broad but not universal support. Interestingly, only three articles in our search described the specific kind of constructivism in question: Choy et al. (2015) specify that their goal is to apply social constructivism to a Masters of Education degree programme, Kalzantis (2006) focuses on Piagetian constructivism, while Newhouse (2014) defined constructivism as the act of building new knowledge in light of prior knowledge. In higher education, we reviewed support for constructivism within the journal Studies in Higher Education. This Q1 journal is recognised as a leading international journal in the higher education field. It publishes articles from a wide range of disciplines and methodologies, has an h5 index of 35, and an h5 median of 49. We found 21 articles referencing constructivism. We coded 16 of these 21 articles (76.2%) as positive towards constructivism, with one (Otting et al. 2010) examining beliefs in constructivism empirically and 15 making explicit positive statements or implicit endorsements. den Outer et al. (2013, p. 1504) explain that they are “researchers in a social-constructivist tradition”, for example, while Segers and Dochy (2001, p. 328) describe constructivism as “consistent with the goals of education in the knowledge age”. We coded the remaining five articles (23.8%) as neutral. All five made reference to constructivism but did not advocate for or against its use. In teacher education, we reviewed support for constructivism within the journal Teachers and Teaching: Theory and Practice. This Q1 journal has an h5-index of 18 and an h5 median of 30. Within the journal we found nine articles referencing constructivism in the title, abstract, or keywords. Six (66.67%) were positive: endorsing constructivism explicitly, through the call for greater constructivism in teacher training (e.g. Gunel 2008; Price 2013), or implicitly, through discussion of students’ positive development within a constructivist framework (e.g. Kroll 2004). One was negative (11.11%), arguing that conceptual reforms including constructivist teacher education have made only minor improvements to the outcomes of underprivileged youth (Téllez 2007). Finally, two articles were neutral (22.22%). Gordon (2009, p. 737) argued that constructivism, while “a very powerful model”, holds both “promises and potential problems”, while Orland-Barak (2006) discussed the ways in which her own constructivist beliefs might sit at odds with her students’ beliefs. Finally, in science education, we reviewed support for constructivism within the Journal of College Science Teaching: the official tertiary education journal of the National Science Teachers Association (NSTA). The NTSA is the largest science education organisation worldwide, with a membership of 55,000. The Journal of College Science Teaching is widely regarded in the field, with an h5 index of 14 and an h5 median of 27. Within this journal we found 14 articles referencing constructivism in the title, abstract, or keywords. All were positive (100%). Strait and Wilke (2007, p. 58) describe constructivism as a “widely understood and broadly accepted learning theory”, for example, while Robertson et al. (2009, p. 37) aimed to instil “environmental stewardship via constructivist instructional methods”. Marbach-Ad et al. (2001) note that constructivism is now assumed best practice in the field, with leading science organisations including the American Association for the Advancement of Science (AAAS) and the National Science Foundation (NSF) actively encouraging the use of constructivist techniques. As even this short analysis demonstrates, constructivism experiences considerable support in multiple domains within higher education. It also enjoys support within the Australian educational community more broadly. While space prevents us from extending our analysis, we note that support for constructivism has previously been documented in other higher education domains too. Hammond (2005) found that the most common theoretical framework in online education was social constructivism, for example, while Swan et al. (2009) describe the constructivist Communities of Inquiry approach as the leading online pedagogy. Across journals, a consistent theme amongst the articles in our analysis was that they only rarely identified the specific version or form of constructivism in question. To remedy this situation, we now offer a nuanced characterisation of three overarching varieties of constructivism in higher education today. Radical constructivism is a position most associated with Ernst von Glasersfeld (1987, 1995). It is an extreme position that collapses the epistemic and pedagogic frameworks to a single epistemological-pedagogical position. As knowledge is individually constructed meaning, learning must be constructivist. Each individual is magnificently alone in her epistemology and instruction is literally impossible. The natural contrast to radical constructivism is psychological constructivism. While radical constructivism is an extreme epistemic theory, psychological constructivism is a progressive pedagogic position.2 It is a position often associated with Piaget that urges educators to look to scientific theories of development and learning to inform teaching (see Adey and Shayer 1994; Piaget 1970, 1973; Smith 1985). Because new knowledge is actively constructed in light of students’ current knowledge and understandings of the world, as well as their subjective interests, past experiences, and emotions, then notions such as prior knowledge, motivation and engagement and individual learning processes become important for educators to know about. Students with vastly different backgrounds, experiences and motivations are likely to approach and interpret new knowledge in different ways. We call this the moderate version of psychological constructivism. Note that the moderate version of psychological constructivism does not prescribe the use of specific pedagogies. Whether new information is encountered via sensory interaction with the world, via explanation from a teacher or peer, through book-reading, or via some other means, it is still subject to the same cognitive processes of attending, interpreting, meaning-making and encoding or discarding within the brain. The constructivist claim that we should look to psychological theories of learning is sometimes extended to prescribe the use or avoidance of specific pedagogies and approaches, however (Mayer 2004, 2009). We call this the strong version of psychological constructivism; noting that these approaches may or may not be consistent with current empirical evidence. Two common iterations of the strong version of pedagogical constructivism emerge. First, it is sometimes suggested that because students construct their own knowledge they must also be given opportunities to direct their own learning (see Baines and Stanley 2000; Brindley 2000; Gordon 2009). To different educators this might mean giving students control over the task and topic, learning outcomes, learning approach, or a combination of all three. Second, and similar to the first claim, it is sometimes suggested that educators should avoid the use of direct instruction—where the student is explicitly told new knowledge or shown new skills—entirely (see Gordon 2009). Both interpretations move away from psychological constructivism in its most literal or moderate form, which merely describes active cognitive engagement on the part of the student when forming new knowledge or understanding (Mackenzie 2008; Mayer 2009; Richardson 2003). Notice that each strong iteration of psychological constructivism is an empirical claim about the efficacy of teaching and learning that requires empirical grounding. We return to assess the evidence for these strong approaches in our next section. The more moderate notion that we should look for psychological theories of learning when determining our pedagogical approach is unobjectionable. For these theories to offer meaningful insights to educators, however, serious empirical work is required. It is one thing to suggest that educators consider how students learn when designing work; it is another matter to point to substantive empirical claims about the use of specific pedagogies and approaches (Nola 1997). Between the extremes of radical and psychological constructivism lies social constructivism. This position is most often associated with Vygotsky (1978; see Bächtold 2013 for an argument that social constructivism comes in two forms). Like radical constructivism, social constructivism can be interpreted as an epistemology: as the claim that knowledge is relative to social groups. But notice that even when interpreted epistemically, social constructivism is less extreme than radical constructivism. The social constructivist admits the importance of inter-subjective reality. Social constructivism is even more conservative when interpreted pedagogically, as the claim that learning occurs best in social groups. These positions are not mutually implicative. Indeed, they are claims at different levels of analysis. The first is a philosophical claim about the general characteristics of knowledge; the second an empirical claim about how people learn. We find no flaw in the pedagogic claim, although, obviously, it must be grounded in evidence. We do, however, object to the relativism implicit in the philosophical claim. But, as we will soon see, this relativism can be avoided if social constructivism is interpreted as a broad epistemic claim. In this final section, and having identified both the broad support for constructivism in higher education and the different forms that constructivism can take, we identify problems and benefits of these different forms of constructivism through two lenses: philosophical and pedagogical. As we note above in our overview of constructivism in the twentieth century, constructivism at the highest level of abstraction is a form of relativism and, as such, part of the subjective turn in epistemology. The subjective turn was one response to the collapse of traditional foundationalism. Recognising that the truth of complex statements cannot be demonstrated by reducing those statements to their indubitable foundations, the radical constructivist replaces demonstrative truth with subjective meaning (c.f. Sellars 1956). This makes knowledge claims radically individualistic. When pushed to its philosophical conclusion, we find that this radically individualistic casting of ‘truth’ renders the radical constructivist claim to the term ‘knowledge’ contestable. When pushed to its conclusion, for example, knowledge claims of individuals do not and cannot conflict. It is possible for you to know P and me to simultaneously know not-P. This is inherently problematic for any reasonable characterisation of knowledge—including but not limited to Plato’s canonical ‘true justified belief’—because there is no justification outside of individual experience and nothing that corresponds to subject-independent truth (Boghossian 2007). Neither can knowledge be understood in Popperian Fallibilist terms (see Thornton 1997), or in terms of Dewey’s ‘warranted assertions’ (Boyles 2006), as there is no subject-independent basis from which to test and falsify theories. Such a radically individualistic understanding of knowledge is fundamentally impoverished, exempting the radical constructivist from intellectual tradition, rules of external criticism and even the canons of logic (Boghossian 2006). Our initial reading of social constructivism offers a more robust account of knowledge and truth. While radical constructivism makes “knowledge” relative to the individual, social constructivism makes knowledge claims relative to groups, thereby allowing for inter-subjective knowledge and truth (c.f. Kuhn 1970; Feyerabend 1970). But notice, on this reading, that the knowledge claims of separate groups do not and cannot conflict. It is possible for group A to know P and group B to simultaneously know not-P. Such a position is more robust than the radical constructivist notion of individual truth. Indeed, a case could be made for such a position aligning reasonably well with Kuhn’s notion of a paradigm shift in science, where different theoretical systems offer independently valuable, but nevertheless incommensurable, perspectives on the external world. There is, however, a broader way to interpret social constructivism. In sum, examined through a philosophical lens, any non-social version of constructivism will collapse into relativism making truth and knowledge claims radically subjective. Similarly, although less radically, relativistic problems confront any narrowly interpreted version of social constructivism. But when broadly construed as a claim about the inherently social nature of knowledge construction due to its fundamental reliance on social tools, most particularly language, social constructivism escapes any such problems. Thus, we conclude the only reasonable version of constructivism defensible in epistemic terms is broad social constructivism. As discussed earlier, the ‘subjective turn’ in which constructivism arose was preceded by logical positivism. The logical positivists attempted to create an objectivist, foundational account of science generally. Logical positivism manifested in psychology (and subsequently education) as behaviourism, the science of learning. While positivists eschewed any claim that could not be verified by observation, behaviourists rejected any theory that could not be specified in terms of observable behaviour (Sellars 1963). Behaviourism had two broad varieties: analytic and psychological. Analytic behaviourism was a philosophical position according to which mental state terms such as beliefs and desires were explained in purely behavioural terms (see Ryle 1949; Sellars 1963). Psychological behaviourism was a research programme within scientific psychology according to which human behaviour was explained using only external stimuli, responses and learning histories (including reinforcement schedules). Aspects of psychological behaviourism can be found in the works of Pavlov, Thorndike and Watson (1913, 1930), but are most clearly expressed by Skinner (for example, 1953, 1977), who explicitly rejected appeals to inner happenings in the mind. For Skinner, explanation of all human behaviour “lie[s] in the environment” (1977, p. 1). Where behaviorism views knowledge as resulting from a finding process, constructivism views knowledge as the natural consequence of a constructive process. Where behaviorism views learning as an active process of acquiring knowledge, constructivism views learning as an active process of constructing knowledge. Finally, where behaviorism views instruction as the process of providing knowledge, constructivism views instruction as the process of supporting construction of knowledge. As we discussed above, a moderate version of psychological constructivism suggests only that educators look to psychological theories of learning to inform their practice. Consistent with a strong version of psychological constructivism, however, constructivism in education is often taken to mean any of a number of instructional approaches in which the learner is responsible for determining what is to be learnt and how it should be learnt (Baines and Stanley 2000; Gordon 2009; Kirschner et al. 2006): discovery learning, open exploration, inquiry learning, problem-based learning and so on.4 The degree of teacher involvement varies by approach, from minimal guidance to scaffolded support of the learner’s activities, yet the underlying philosophy of student direction remains the same (Baines and Stanley 2000). Where scaffolding and guidance is provided, as in problem-based and inquiry learning, the openness of the constructivist approach requires that the student become responsible for determining whether it should be used and in what way. Two potential problems with these more prescriptive interpretations of constructivism emerge. First, if pedagogy is grounded in epistemological relativism, an additional constraint is placed on learning such that no one form of knowing is privileged above another (Matthews 2003). Science becomes open to superstition. History becomes revisionist. Disciplinary ways of knowing—indeed, disciplines themselves—cease to exist. This undermines the very purpose of higher education. Although the precise ways of contesting, scrutinising and disseminating knowledge may differ by discipline (Freebody and Muspratt 2007), in all of higher education there is a requirement that knowledge be treated seriously and judged appropriately. A relativistic form of constructivism fails on this count. Second, a range of empirical studies in cognitive and educational psychology demonstrate that a strong version of psychological constructivism which is interpreted as minimum guidance fails as an overarching and holistic pedagogical position. For example, in leaving all knowledge, analysis and task management decisions to the student, the rigidly open approach risks overburdening the student’s working memory: meaning insufficient space for new learning (Kirschner et al. 2006; Sweller et al. 2007). Determining the parameters of a problem and how it will be approached carries with it an information processing cost. When so burdened, learning is inefficient at best, impossible at worst. Novices and weak students, each with less prior knowledge to rely on, are particularly affected (Clark 1989; Kirschner et al. 2006; Khlar and Nigam 2004). Two common misunderstandings… have diminished the value of efforts in the field up to now. The first is the fear (and sometimes hope) that the teacher would have no role to play in these experiments and their success would depend upon leaving the students entirely free to work or play as they will. Secondly, he is needed to provide counter-examples that compel reflection. While Piaget was concerned predominantly with minimal guidance in childhood, and not higher education, his concern is valid at all levels. Thirty years of psychological research have demonstrated problems with purely open, student-directed approaches in a range of educational settings, including elementary school science classes, classes that include students at-risk, computer programming classes and university psychology classes (e.g. Clark 1989; Khlar and Li 2005; Kirschner et al. 2006; Matthews 2003; Mayer 2004). Lower performance has also been observed on a range of outcome variables including traditional tests of achievement, case-based and portfolio assessments, and measures of higher-order thinking, problem solving, self-esteem, self-efficacy, optimism and independence (e.g. Loyens et al. 2009; Matthews 2003; Struyven et al. 2008). Most worryingly, an early review by Clark (1989) showed that weaker students in strictly student-led classes (i.e. with no access to direct instruction) performed worse in post-tests of learning than in pre-tests; being unable to determine appropriate learning goals or pathways. Importantly, the explanation for these poor outcomes in many strong interpretations of psychological constructivism may lie not in what is done, but in what is missing. In an attempt to avoid the trappings of behaviourism, advocates of a strong interpretation of psychological constructivism may eschew direct instruction entirely. Yet cognitive psychologists have long shown that students who are novice in a particular domain must be closely supported to build base-layers of new schematic knowledge networks within this domain, via direct instruction if necessary, before engaging in the kinds of higher-order thinking activities that might demand these networks (Bruning et al. 1999). Of course, higher education must be a site not just of developing disciplinary knowledge, but extending on it. We want students to question and critique that knowledge, to develop the skills for thinking critically and to apply these skills to new problems in the world (Biggs and Tang 2007). Framed more formally in terms of Anderson and Krathwohl’s (2001) classic taxonomy of cognitive processes, we want students who do not just remember and understand established concepts within their field but can also apply these concepts; analyse and evaluate arguments, products and solutions that use these concepts; and create new products and understandings themselves. Such processes should not be seen as alternatives, however, but as mutually supportive (Anderson and Krathwohl 2001). So, if educators adopt a moderate psychological view, looking to an understanding of student learning to guide pedagogy, what does this mean in practice? In short, a moderate psychological view means that the pedagogical approach chosen must be both evidence-based and ‘fit-for-purpose’. Where the pedagogical goal for a particular activity is for students to develop new understandings of already well-established rules, principles, or knowledge within their discipline, the scientific evidence shows that direct instruction and practice is one of the most efficient means of achieving this goal (Mayer 2004, 2009; Sweller et al. 2007). This is particularly the case when that discipline is itself structured in terms of ‘explaining’ rather than ‘interpreting’ various phenomena (see Freebody and Muspratt 2007 for disciplinary differences). Where the pedagogical goal for a particular activity is instead for students to critique, extend, or apply this knowledge in some new way—thinking critically about its implications, or developing new solutions to ill-defined problems, or testing new hypotheses—then inquiry-based approaches, open discussion and debate and so on are likely to be more appropriate (see Gordon 2009; Schmidt et al. 2009). In all cases, the technique is matched to the pedagogical goal and the cognitive processes in question. In this section, we have evaluated current philosophical and pedagogical arguments against constructivism and extended these to higher education. Jointly, these problems imply that a strong version of constructivism is neither a necessary nor a sufficient position for careful, considered and effective teaching in the academy. As Matthews (2003, p. 51, emphasis in original) states, “employing this approach for which there is a lack of evidential support means not employing instructional practices for which there is empirical support”. Extending this line of reasoning further again, we show that interpretations of constructivism in which direct instruction is entirely omitted are not merely unsupported by current philosophical and pedagogical evidence, but counter to this evidence. Constructivism is a wide-ranging term. Each form of constructivism in higher education is underpinned by a unique pattern of epistemic assumptions, pedagogic assumptions, or both, and this diversity can make it difficult for us to either know what form is being used or to challenge constructivism as a whole. Using a psycho-philosophical lens, we extend previous discussions of constructivism in higher education, disentangling the epistemic and pedagogic arguments for three broad versions and, by implication, the various forms underlying each version. Our intention is to discard those versions that cannot be supported while encouraging educators in Australian higher education forums to retain those versions that can. We establish that psychological constructivism is a progressive pedagogic position urging educators to look to psychological theories of learning to inform teaching. We find this position unobjectionable. Of course, as an empirical position, it requires empirical grounding. We caution against strong interpretations that undervalue the importance of prior knowledge and teacher support. Social constructivism, in turn, emphasises the role of social groups. It can be interpreted pedagogically, as the view that social interactions facilitate learning, or epistemically, as the view that knowledge is relative to groups. We have no concern with the pedagogic claim, though, obviously, it too must be empirically grounded. The epistemic claim is more complex, as it can be interpreted either narrowly or broadly. On the narrow interpretation, any particular knowledge claim is relative to a social group. On the broad interpretation, all knowledge claims ultimately implicate the social environment due to their dependence on language. We favour the broad interpretation, noting that the narrow interpretation skirts perilously close to the relativism of the radical constructivist. Throughout our discussion of social and psychological constructivism, we use radical constructivism as a foil. Radical constructivism is an extreme epistemic position in which all knowledge is relative and all learning individual. To commit to relativism, present in any radical view of constructivism, is to abandon the genuine pursuit of knowledge, however conceived and measured, and to insulate oneself from intellectual tradition and rational debate. To take academia seriously requires acknowledgement of discipline norms and discipline knowledge, and, on these terms, radical constructivism has no place in the academy. For this reason, we do not consider radical constructivism in detail. Our unique contribution in this essay is a psycho-philosophical evaluation and extension of the arguments for and against constructivism in Australian higher education. We highlight the importance for educators of determining the form of constructivism in question, of specifying this form to others, and of consciously discarding versions without support. Higher education is a community governed by specific disciplinary rules, ways of knowing and ways of contesting current knowledge. Our challenge as tertiary educators is to introduce our students to this community. These original distinctions are, obviously, very general. As the discussion progresses, we will introduce further distinctions that add nuance to possible constructivist perspectives. This nuance will be especially significant for a broad interpretation of social constructivism that we will argue is epistemic, but nevertheless not subjective, or at least, not in any pernicious sense. We note here the views of Mayer (2009), who, like many cognitive psychologists, argues that constructivism should be seen as a theory of learning and not of teaching. We defer to the most common use of the term, which is to consider pedagogic implications. We agree with Mayer, however, that strong interpretations prescribing specific constructivist pedagogies are often not consistent with empirical evidence. We further note the use of “personal constructivism” in some circles (see Bächtold 2013). We are hugely indebted to an anonymous reviewer for highlighting the importance of this aspect of Vygotsky’s work. Not only the present essay, but our entire perspective on constructivism has been greatly improved by incorporating this perspective into our thinking. We note these instructional strategies are themselves broad and contested. For a more detailed discussion, interested readers should consult Kirschner et al. (2006), commentaries from Hmelo-Silver et al. (2006) and Kuhn (2007) and a reply to commentaries from Sweller et al. (2007). Thornton, S. (1997). Karl Popper. The Stanford Encyclopedia of Philosophy. Retrieved 20 July 2018 from https://plato.stanford.edu/entries/popper/.